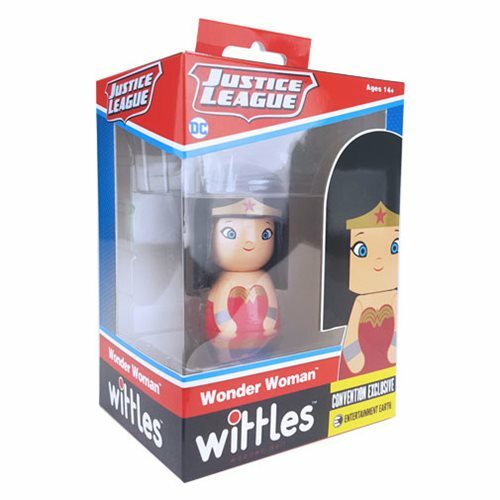 Shopping for Wonder Woman Dolls? 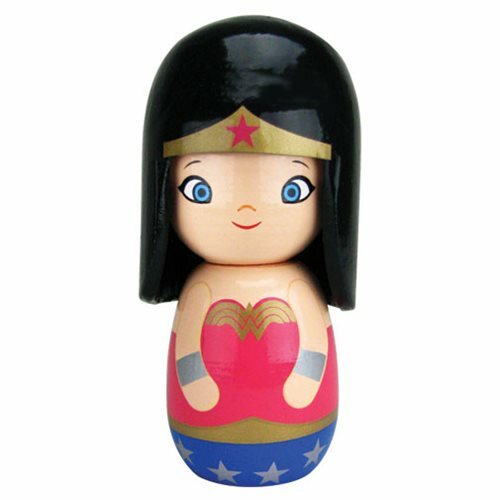 San Diego Comic-Con Debut WONDER WOMAN™ wooden doll! Inspired by traditional Japanese kokeshi dolls. Individually numbered limited edition of only 1,504 pieces! 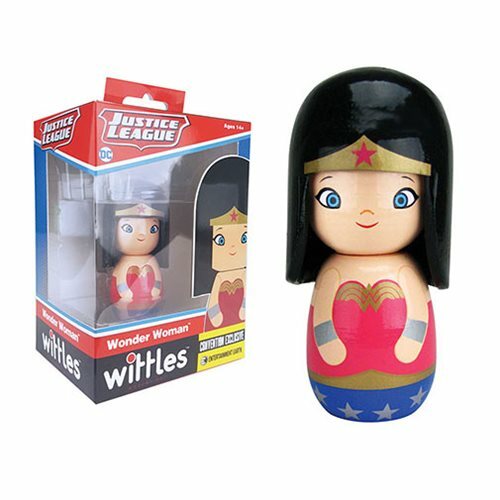 Inspired by traditional handmade Japanese wooden kokeshi dolls, this super-cute and collectible Wonder Woman Metallic Wittles Wooden Doll - Convention Exclusive measures about 4-inches tall. The non-articulated AMAZON WARRIOR PRINCESS™ features highly detailed, brightly colored, 360-degree artwork, so she looks WONDER-ful from any angle! This limited edition of only 1,504 pieces comes individually numbered with a holographic sticker. Ages 14 and up.